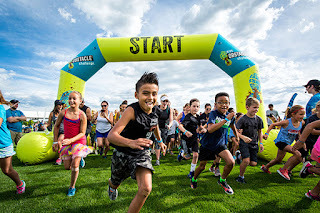 The San Diego Subaru Kids Obstacle Challenge on Saturday, September 29th will be held at Kit Carson Park in Escondido. Participants can traverse rock walls, army crawl through mud pits, rope swing over water, scale up rugged cargo nets, dodge floating cannonballs, and more. Save 15% on Kids Obstacle Challenge Tickets - Use code MUDDYFUN15 to get 15% off tickets. LEGO® CITY: Deep Sea Adventure is Legoland California Resort's on-board real submarine where you go underwater to discover an amazing world filled with real sea animals. Through the use of interactive touchscreens at each porthole inside the sub, guests can help the LEGO® mini-figure dive team identify Lego® gems, pearls, gold coins and more throughout the more than four minute journey. Guests can reach one of three levels during each ride: Junior, Senior and Master Explorer. Check out our vlog of our #DeepSeaAdventure at Legoland, California. The submarine ride will be included in the price of admission this summer at LEGOLAND California Resort. For more information and to sign up for insider updates, visit LEGOLAND.com/deepsea2018.